New Zealand long distance runner Kimberley Smith was in record breaking form in winning the Philadelphia half marathon yesterday. 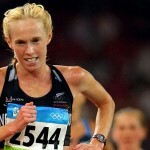 Smith broke her own New Zealand half marathon record by 25 seconds and smashed her New Zealand 20km record en route to the finish of the 21.1km race. In finishing 39th overall the 29 year old recorded the 12th fastest all time performance of 1h 7m 11s. Only six runners have run faster. 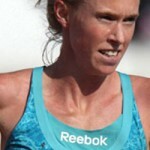 She also carved two minutes eight seconds off her national 20km record set in Birmingham two years ago. 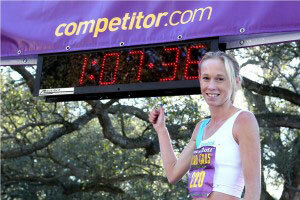 Her previous national half marathon record of 1h 7m 36s was set in New Orleans in February. 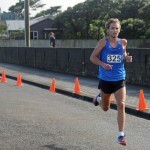 Smith also set US all-comers records for the half marathon, 10 miles (51m 4s) and 20km. Ethiopian runners were next to finish behind Smith, Werknesh Kidane recording 1h 7m 26s and Deba Bizunesh 1h 9m 53s. 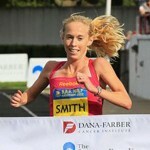 It was a great come back for Smith after her disappointment in the Boston marathon in April where she was forced to pull out with a torn calf muscle after holding a huge lead after 10 miles. Smith said that she needed this victory for motivation. “I was struggling with Boston. Physically it didn’t take me long to recover but mentally it did. I was trying to run hard and be relaxed and feel comfortable today. Smith and Kidane ran together until the final mile – where Smith took the lead Kidane unable to sustain Smith’s pace. “I wore her down – she was tough – to beat her is something – she’s a world champion,” said Smith. Kidane is the 2003 world cross country champion, the same year that she won the silver medal in the 10,000m at the Paris World Athletic Championships.